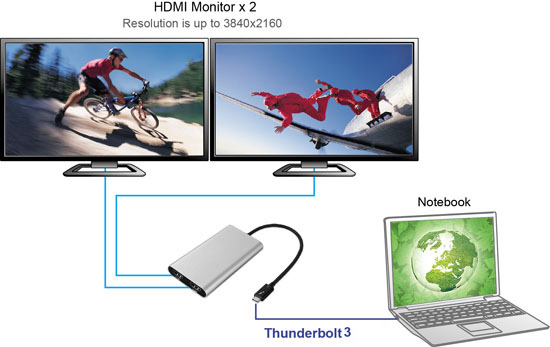 The Thunderbolt 3 Dual HDMI 2.0 output adapter lets users easily connect two HDMI embedded devices from PCs with Thunderbolt 3 interface. 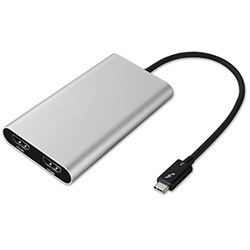 This adapter's output resolution is up to 3840x2160@60Hz. No need to install extra drivers, just plug and play, and start to enjoy your high-end life with this slim and stylish adapter.